There's a huge range of gifts available for fitness fans, gym bunnies, athletes (and whatever else people who like to keep fit classify themselves as). From fitness watches and running jackets to gym bags and sports headphones — we round up the 10 best presents for those who like to stay active. Even for those that don't normally get on with in-ear headphones, the Anker Soundcore Spirit Pro are a very decent pair for those who want to listen to music/podcasts when they run or hit the gym. The Spirit Pro fit snugly into your ears to ensure they don't fall out and are fully sweatproof as well. 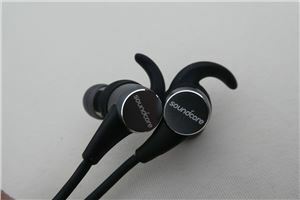 The headphones feature magnetic casings too, so the headphone can clip together around your neck when not in use. Dual EQ Modes allow for better bass and you get 10 hours of playtime from a full charge. And there's a simple to use, three-button remote on the wire to change songs, adjust volume and answer calls. 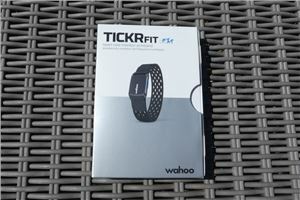 The Wahoo TICKR Fit is a compact heart rate monitor that fits your arm via a lightweight strap. It's designed for runners, bike riders and general fitness work (in particular for those who don't want a traditional chest strapped monitor). It uses optical sensors to measure your heart rate and calorie burn. You can also connect it to a GPS to overlay the data to your route. 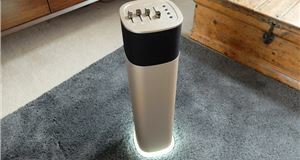 The TICKR Fit has Bluetooth and ANT+ connectivity (a wireless protocol for monitoring sensor data) for a wireless connection to both smartphones and GPS bike computers and watches. It's also sold with a USB charging dock that provides up to 30 hours of battery life. 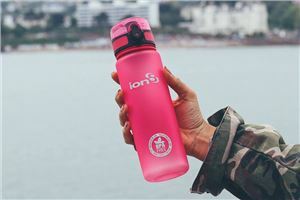 The Ion8 water bottle holds 500ml of water (or whatever else you want to put in it) and comes in a variety of sizes, including 350ml, 750ml, one-litre and thermal options. When closed, it's completely sealed to make it fully leak-proof and a lid lock prevents accidental spills in bags or the like. 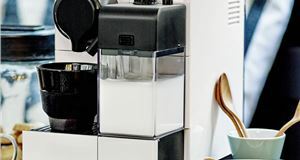 The flip top springs open with the click of a button rather than needing to unscrew or pull open the lid, while the slim bottle is very easy to hold while running and also comes with a carry strap. 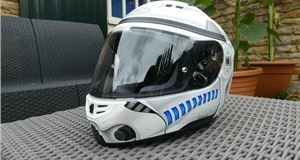 The only slight issue is a tiny air inlet hole that water can leak out of (and onto your face if you tip it up to high). Stick to the 500ml limit and you should be fine, after all, it has a 4.4 out of 5 star rating on Amazon from almost 640 reviews. Fit Nation's £10 foam roller is a must-have for anyone who runs, skates, swims, plays sport or does any other form of exercise. Foam rolling, as it's widely known, has transformed from a technique that used to only be used by professional athletes and therapists to a familiar everyday practice for people. 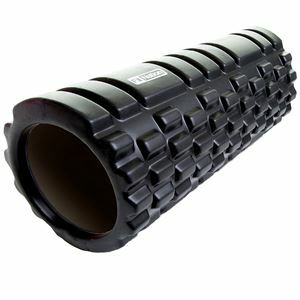 The massaging roller releases muscle tightness by applying pressure to aid in the recovery of muscles. While it can feel a bit uncomfortable, even painful, the process is a necessary one to break up muscle knots and improve flexibility and recovery after exercise, especially to help with sports injury rehabilitation. Whether you're a marathon runner, or just want to improve your health with a few extra steps on your lunch break — wearable fitness tech should be on your radar. Fitbit’s heart rate sensor improves the sleep-tracking features and, on top of keeping an eye on your heart and your sleep, the Fitbit can make note of how you're eating and drinking — so it can tell you how many calories you're burning. You'll also get vibration alerts straight to your Fitbit if you receive a text/call/calendar reminder. And it won't need to be charged more than once a week. 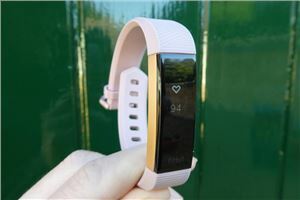 But the main reason for recommending the Fitbit Alta HR is that it really does do a good job of keeping you fit without being too confusing to get to grips with. 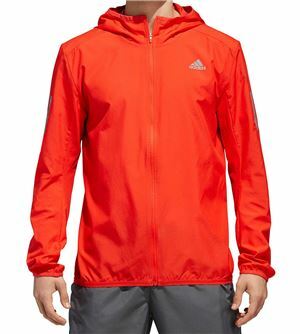 A good running jacket should stop the elements from putting you off your workout. There is a range of good, affordable, water-repellent jackets for both men and women — so we've put a few of our favourites down below. The jackets should fit well and be lightweight, breathable, and water and wind resistant. Useful extras include reflective details for being seen when running at night or early morning (a likely occurrence in colder, darker months), zip pockets and elasticated fabric. Ankle weights are a great addition to your fitness routine if you're wanting to kick things up a notch. They can also be used if you're trying to gain strength back after an injury. 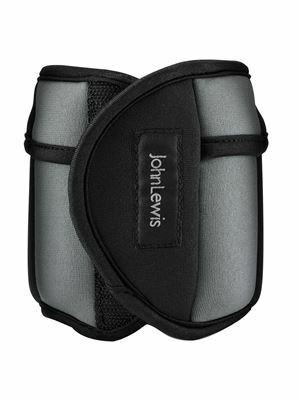 You can buy fixed or adjustable weights, with John Lewis's two adjustable ankle weights (at 1.25kg each) meaning you can add more or less resistance by adding or removing weights. You can also buy wrist weights, with 0.5kg and 1kg options on offer. 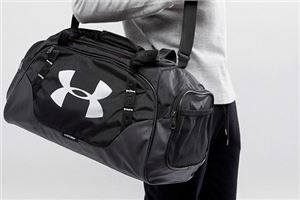 There are loads of gym bags on offers, with different styles, sizes and budgets al playing a part in what's right for each individual. If you walk to the gym from work, for example, you might want a smaller backpack rather than a duffle bag, or if swim rather than use the gym, you won't necessarily need a compartment for trainers or a racket like someone who plays squash would. There's a lot to consider when choosing the right gym bag for you, or as a gift for someone. Generally, it needs to be able to fit in a locker, has separate compartments (for shoes, keys, clothes etc) and be comfortable to carry. 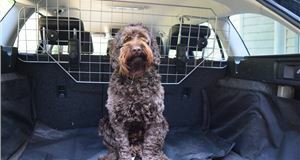 We've put some of our best buys for a range of uses below. Sometimes the simplest gifts are the best. 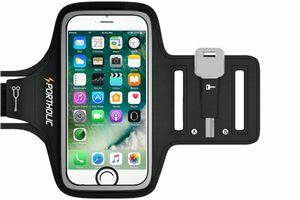 That's certainly the case with this £7 universal armband for mobile phones (fits smartphones witha screen up to 5.1-inch). This potential stocking filler is ideal for runners who want to listen to music/podcasts, track their progress on an app, follow a route on their phone etc while running. The PORTHOLIC armband is fully compatible with Touch ID, allowing fingerprint sensing through the transparent screen. The armband is soft and stretchable, so won't rub uncomfortably on your skin, and is sweat-proof, breathable and lightweight. The double adjustable velcro can fit any arm size from 9 to 20.5-inch and the headset slot ensures the wires do not get tangled around your arm. The key holder and card pocket mean you won't need to carry much in your pockets either. 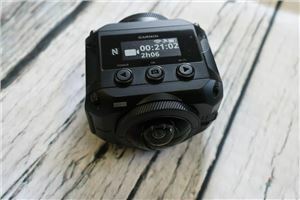 Technology like this is expensive, but Garmin reckons its VIRB 360 hits the sweet spot between amateur enthusiast and serious filmmaker. And it’s packed with features, including live streaming, WiFi and built-in GPS. The two large CMOS sensors are 12-megapixel, each with 201.8-degree field-of-view. Up to 4k @ 30fps the video is automatically stitched together and ready to be uploaded straight onto a 360-compatible platform — like YouTube or Facebook. So, if you’re the kind of person who leads a very active lifestyle and wishes to share it with your friends, it’s a very cool way of doing that. Especially if you know how to edit footage. Plus, the 360-degree footage is very, very good (as long as you have a screen that suits watching 4k footage).